This is YJargo… he is a very wise alien..he sits and ponders the ways of the universe. 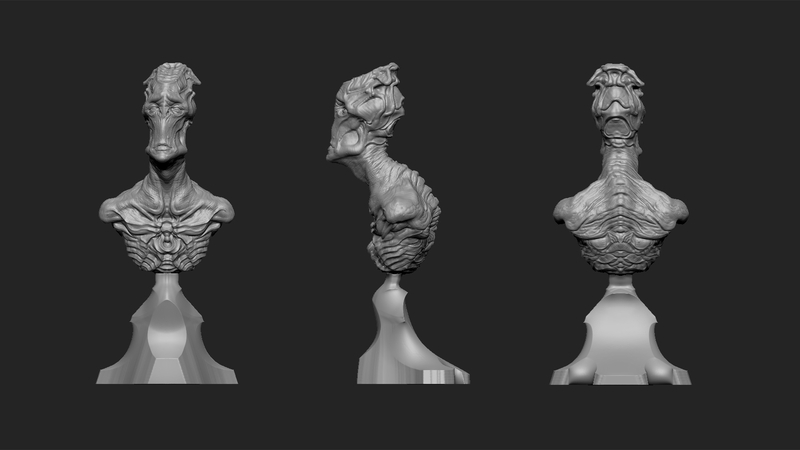 I created him using Zbrush for 3d printing. Please feel free to leave your opinions and comments! !